Barbara Meneley was curated by Art Gallery of Regina. Barbara Meneley is a Canadian visual artist whose interdisciplinary site responsive work engages with the landscapes and foundations of contemporary society and culture. Her work evolves through theoretical inquiry and contemporary intermedia art - installation, media, performance and engaged practice. Regina, Treaty Four, Saskatchewan, and Canada are conceptions of place designed and defined by maps. Typically seen as scientific, objective and absolute, in reality cartographic representation is anything but. The central fiction of every map is that the truth of place — the undulating terrain, dust caught in a twist of wind, the growth of a tree, or the sounds of animals — must be translated to static and two dimensional representation, located and coded in the global grid. Cartographies for the Next 150 expands and unsettles the map, interrupting naming and numbering to offer representations of land that move beyond two dimensions. 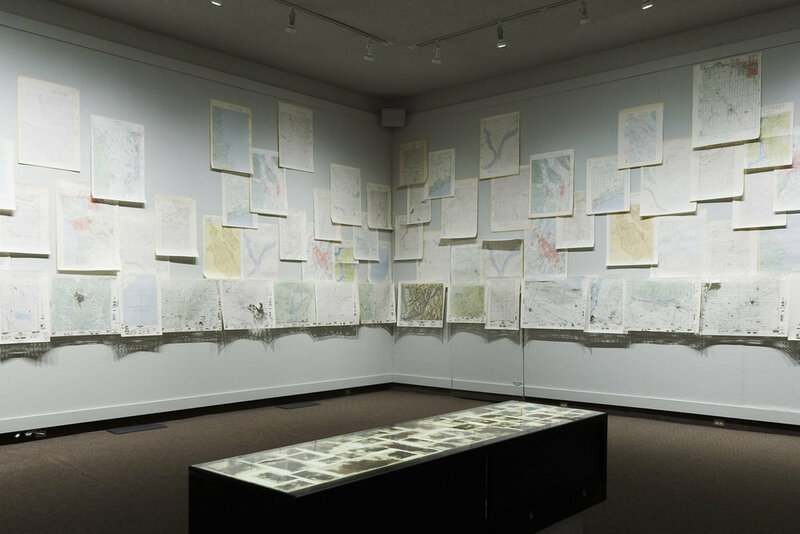 Maps of the land where AGR is located — and beyond — are abstracted, erased, and animated to re-imagine, re-define, and re- story, shaping representations of land as living, breathing, and in flux. Cartographies for the Next 150 interprets the past and present, and offers expanded visions for future.